Thomas Doherty has been setting the standard in green business practices for psychology and health care professionals for over a decade. Learn more about some of the sustainability practices he uses below. 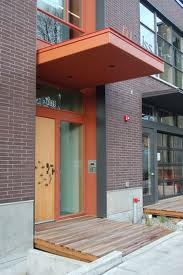 Thomas Doherty’s office is located in the LEED Platinum-rated Numiss Building on North Mississippi Avenue in Portland, Oregon. 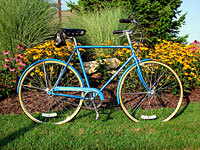 On nice days, Thomas commutes to work on his vintage Schwinn World Tourist. For wet weather and cross-town travel, he favors his Surly Cross Check or his Bajaj scooter. The local Zipcar is used when a vehicle is needed. Carbon emissions from air travel are offset through carbonfund.org. Clients are encouraged to walk or bike when appropriate. Thomas Doherty’s office is serviced by nearby Portland transit locations including N Prescott St MAX Station MAX Yellow Line and the 4-Division/Fessenden Bus Line. The triple bottom line and ecological footprint is considered in all decision making at Sustainable Self. Office supplies are sourced locally when possible. As a services and consulting business, one of the main resources used is paper. Thomas actively conserves and recycles paper and obtains supplies of 100% post-consumer recycled products.